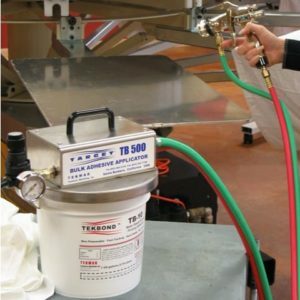 TB-STX is a starch based adhesive that will temporarily bond the inside of a tee-shirt or other textile, to stabilize it for all over printing. 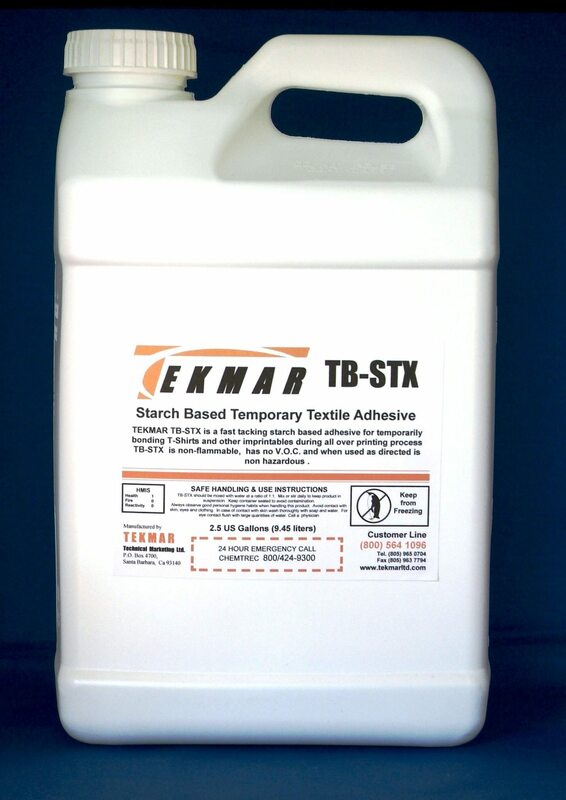 Tekmar’s TB-STX starch based adhesive easily separates after printing and dissipates as a powder. Any residual adhesive, like starch washes out. 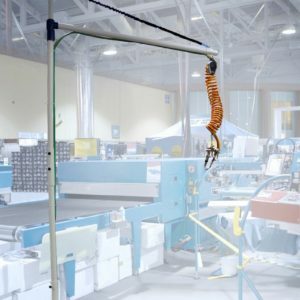 The superior holding formulation, ensure a static surface for printing and allows increased production and savings. 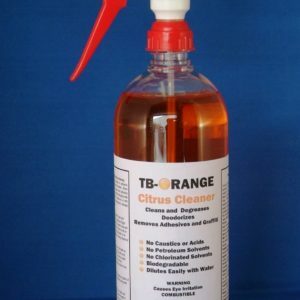 It is supplied as a concentrate so that each gallon can be mixed with 1 gallon of water for added savings. 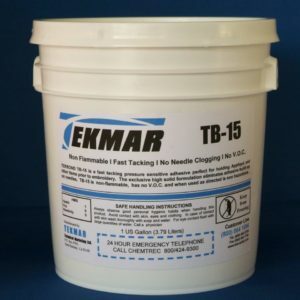 Visit the Tekmar Catalog to view all our textile and screen printing products.